Super Bunny World released today on iOS and Android. Web, Amazon App Store and Windows Store soon to follow! 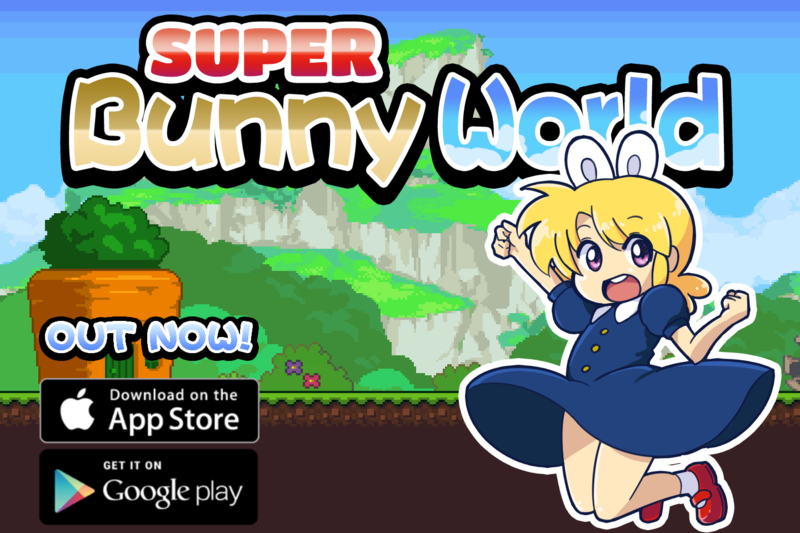 Today, Hei Games announces their latest game, Super Bunny World, is available worldwide on the Apple App Store and Google Play Store. Super Bunny World is a SNES-like platformer game where players compete to get the highest amount of coins collected. You control a cute little bunny girl, but this is no ordinary bunny: she can power up if she comes across a carrot, increasing your chance to run further and collect more coins. The game is filled with enemies and obstacles. Jump, dodge and stomp your way through as the game scrolls infinitely in a procedurally generated world. Players can compete with online leaderboards using Game Center, Google Play Games Services and Facebook. The game also contains 10 unlockable achievements as an optional challenge for veteran players. 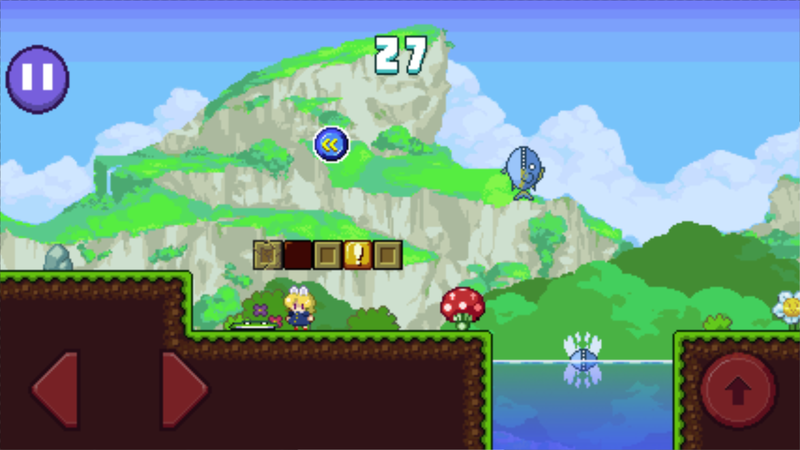 Super Bunny World will also come out soon on web, Amazon App Store and Windows Store. Hei Games is an independent games studio based in the Netherlands and creates retro-like games that are fun and playable for all ages.